"What's new this year? There is no short answer to that," said Caledonia Skytower, "In almost every conceivable way, the Project has flourished in the full region format. This year was a team effort - our first real foray into collaborative build creation. We learned a lot, and we are confident people will enjoy the results." Skytower, along with long time Dickens creator Aoife Lorefield, Gloriana Maertens, and Dagmar Kohime worked together to transform prims and textures in a regionscape that evokes the spirit of Dickens' beloved work. Most evident to Dickens Project fans will be the new "Urchins in Dickens London" experience. 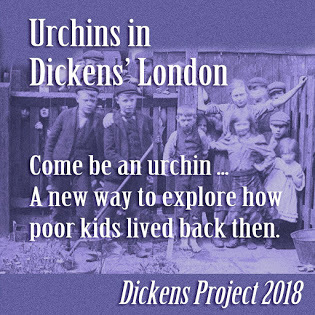 Created by Lorefield, the Urchins Experience invites residents to explore what life was like for a poor child in Victorian England. It's a game that combines elements of an SL hunt, free form (and optional) role play, and an invitation to create (and share) stories that the experience inspires. "Charles Dickens was ever a champion of children, writing stories about those who were poor and unprotected," says Lorefield, "His child characters are often triumphant, finding ways to build lives of purpose and sometimes even happiness in a difficult time." Residents of all ages are welcome to participate, and will find information and the Urchins HUD near the main landing point in Dickens Square. Inquiries should be directed to Ms. Lorefield. Additional information can be found on a special webpage http://irelandslstory.blogspot.com/p/urchins-in-dickens-london.html . To experience another new aspect of this Edition, just by turn on "sounds" in your Second Life Viewer. A soundscape created by Dagmar Kohime will enhance the immersion of the region-exploring experience. Sounds of all kinds can be heard all over the region: a fiddler plays at Fezziwig's warehouse, the sounds of Nephew Fred's party guests wafts into the street near his home, and the Merchants Alley rings with sound of urchin laughter. The soundscape includes a special "Voices of the Story Path" hud that visitors can wear to hear short selections from "A Christmas Carol" in locations which corresponds to that selection from the story. The 2018 Edition will include the customary presentations of A Christmas Carol in a variety of adaptations, in sections and in its entirety, and at different times to make the live readings accessible to residents from different parts of the globe. Other works from within the author’s vast canon are featured in the weeks leading up to "Carol Week" (December 17-23), which climaxes in a marathon “Big Read” presentation of A Christmas Carol performed by a relay team of Seanchai staff and storytelling friends, scheduled for Sunday, December 23rd. "And we're not even done scheduling yet," Skytower points out. 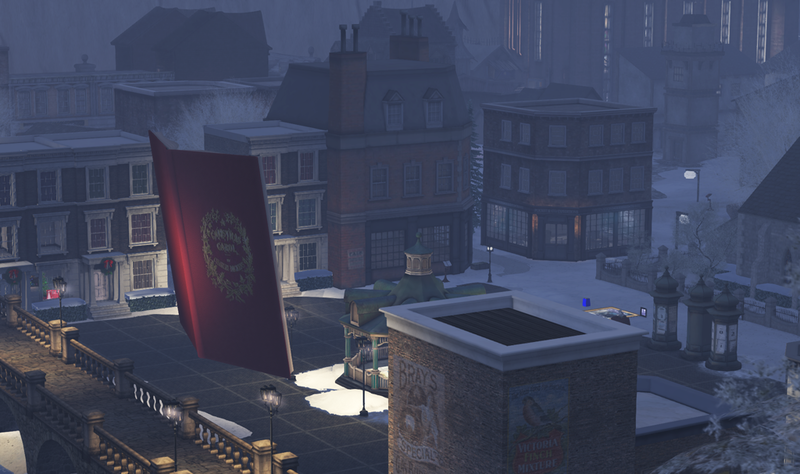 Non-Dickens ghost stories, the Urchin Extravaganza, and a DJ Challenge will round out the days between Christmas and December 30th The schedule in-progress will be available weekly on the Seanchai Library website http://irelandslstory.blogspot.com/p/the-dickens-project-sl.html. The daily schedule, information on all aspects of the Project, and calendar links will also be available on information kiosks at the main landing point. In 1843 Charles Dickens prefaced his classic tale with these words: “I have endeavoured in this Ghostly little book, to raise the Ghost of an Idea, which shall not put my readers out of humour with themselves, with each other, with the season, or with me. May it haunt their houses pleasantly, and no one wish to lay it.” He began the novella in October, completed it in less than six weeks. It went on to become the most successful book of the season, selling six thousand copies by Christmas and continuing to be popular into the new year. It is a book which has never been out of print. 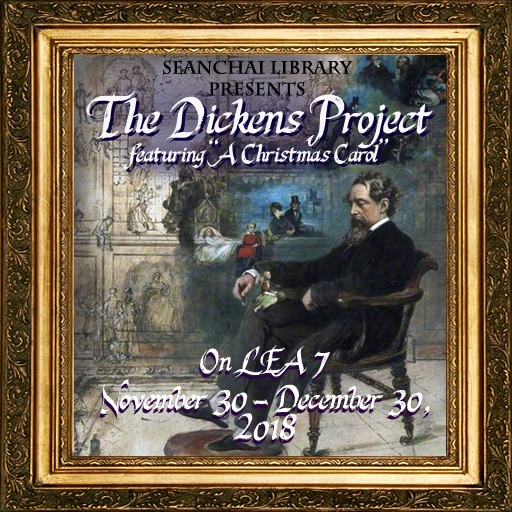 The Dickens Project is produced by Seanchai Library (Shawn-a-kee, which means "Storyteller" in Irish), which was founded in March of 2008 in Second Life. Thousands of stories, and hundreds of authors later, the program remains dedicated to promoting the power of stories to transform and inspire through live voice presentations: "We bring stories of all kinds to life, in Second Life."